Our Group Mentoring pilot, funded by the Michael & Susan Dell Foundation, launched in October 2014 and will help us determine if we can reach more students by delivering a hybrid approach to our mentoring model that includes both one-on-one time with mentors and group sessions with peers. 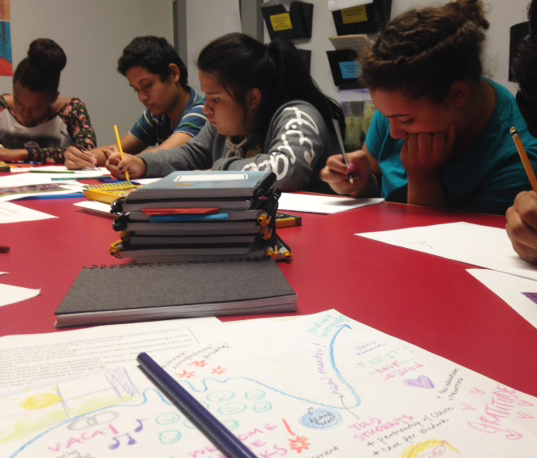 This particular group session was the first of 17 sessions these students will complete during their junior year. Our target outcome for this session was increased self-knowledge and we encouraged students to reflect on their trip experiences, their role in their trip group and their resulting growth and lessons learned. The main session activity focused on drawing trip maps. Boston students’ fierce creative concentration. 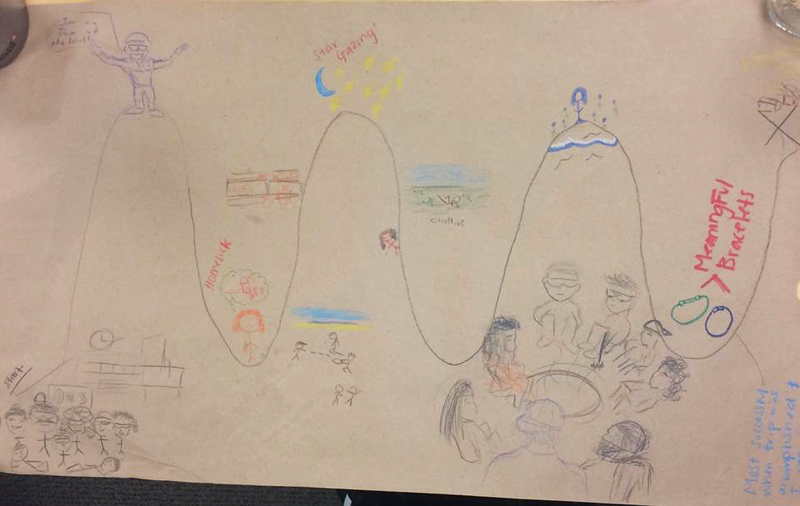 This exercise provided an engaging way for the group to recreate their experiences from their summer trips, and allowed them to reflect on those experiences and literally “map out” what they learned. During this exercise, students also validated one another’s experiences. A finished trip map from our Oakland group! A detailed plan is in place to evaluate the results and impact of the pilot. A combination of measurement tools, including observation, staff reflection, data captures, student surveys and student focus groups, are being used to collect evidence on an on-going basis. We’re looking forward to seeing what comes next out of this innovative program, and we wish our young cartographers the best of luck as they map out their futures!